We are honored to receive a 2014 CotY award from NARI Metro DC Chapter for our work in Residential Universal Design. 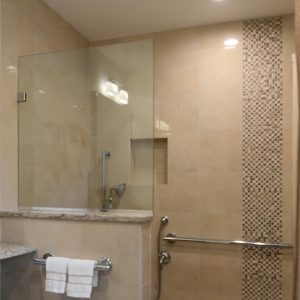 NARI recognized how we significantly improved a master bathroom’s functionality and comfort for an aging couple in Silver Spring, Maryland. You may have heard about this project before – we featured the renovation in a blog post that also appeared on AARP’s website. Want to see the transformation for yourself? Visit our case study to see how dramatic the change was. If you aren’t familiar with Universal Design, be sure to check out MJ Englert’s blog post for an explanation. Please find the full press release for the NARI CotY award below. February 2015, Bethesda, MD – Case Design/Remodeling, Inc., a full-service residential remodeling firm with offices in Maryland and Virginia, recently won a 2014 Contractor of the Year (CotY) Grand Award by the National Association of the Remodeling Industry (NARI) Metro DC Chapter in the Residential Universal Design category. 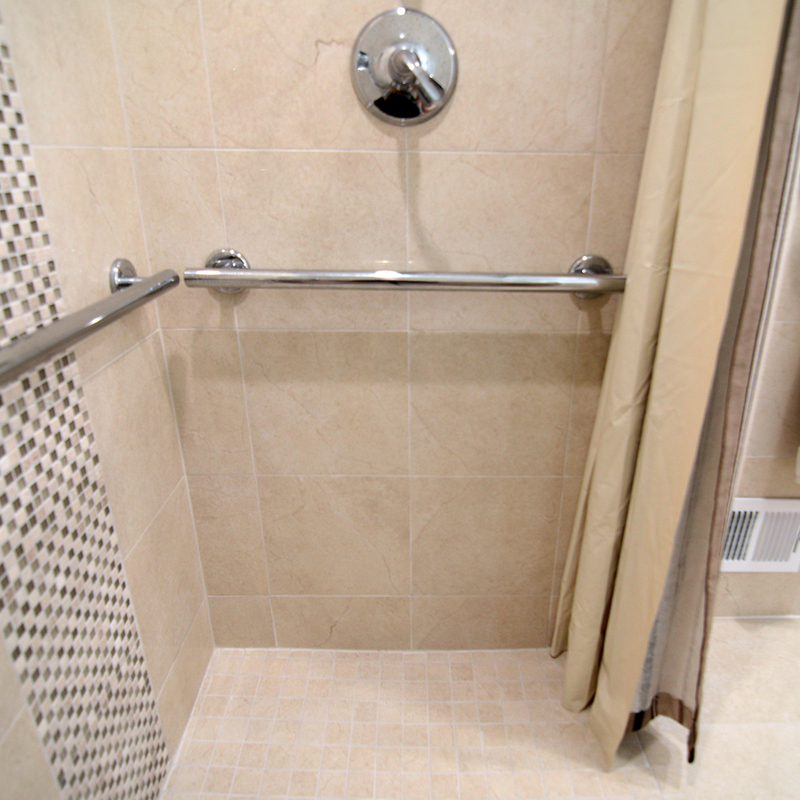 As the grand winner in the Residential Universal Design category, Case Design/ Remodeling, Inc. completed a master bathroom renovation that took into account the Americans with Disabilities Act (ADA) and its Standards for Accessible Design. 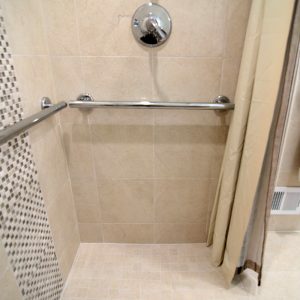 John Audet, Project Developer, and Kwasi Hemeng, Designer, created an accessible and modern bathroom to accommodate the needs of the homeowner who suffered a recent injury. The master bathroom transformation included a larger shower with open entry, grip bars and bench, expanded counter space that extends over the toilet, enhanced lighting, and easy maneuverability for current and future needs. With little room to enlarge the bathroom, the design team thought innovatively and aesthetically to create a safe space that also blended with the surroundings. Companies competed in 34 categories for the NARI CotY Awards with projects representing an improved space or an addition to an existing structure, with the exception of one category. Judges, who are experts within the industry and associated fields, selected winners based on each entrant’s before and after photography and project descriptions with a focus on problem solving, functionality, aesthetics, craftsmanship, innovation, degree of difficulty and entry presentation. To be considered for a CotY Award, a company must be a NARI Metro DC member, representing nearly 300 companies and individuals, with Metro DC having the highest number of certified professionals in the country and one of the largest US chapters.